worthington pools Archives | What Should We Do Today? What Should We Do This Weekend? 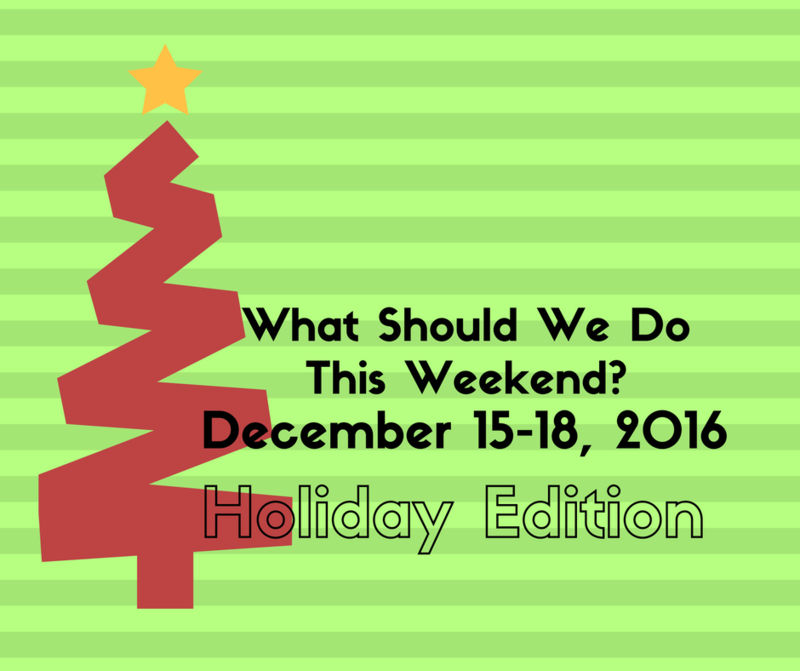 December 22-25, 2016 Holiday Edition! Christmas Weekend is upon us! If you have kids on winter break or toddlers that have a lot of extra energy to get out, there are a lot of things to do this week and weekend! Don’t forget to check out my 2016 Columbus Holiday Scavenger Hunt and print out the printable to take it a long with you as you’re out and about! It includes 25 things to find in Columbus before New Year’s Day! I wish you all a Merry Christmas and Happy New Year! 10:00 AM – Winter Warm Up Week at Grange Insurance Audubon Center – the center is offering a couple days worth of activities for kids including movies, story times, crafts, scavenger hunts and more! Admission is free! 10:00 AM – Holiday Open Play at SuperGames – the first 150 children (first come, first served) will be allowed to play during these open hours! 10:00 AM – Winter Break Scavenger Hunt and Craft at Blendon Woods Metro Park – stop by the nature center for crafts and a scavenger hunt! 10:00 AM – Merry and Bright at Franklin Park Conservatory – the Conservatory stays open until 9:00 with special musical performances, a gingerbread house display, a holiday train, holiday lights and seasonal plantings! 5:00 PM – Visit with Santa at Partner’s Park – last chance to visit with Santa before he gets ready for Christmas Eve! 6:45 PM – Family Night Painting and Cocoa at John E. Bickley YMCA – paint a picture on canvas, watch a holiday movie and enjoy a hot cocoa bar! $5 per person. 7:30 PM – Movie Night at Coffee Underground – watch Rudolph the Red Nosed Reindeer and A Charlie Brown Christmas for free, with popcorn! 7:30 PM – Cirque Dreams Holidaze at Palace Theatre – Cirque’s holiday performance is in Columbus this weekend! 7:30 PM – Holiday Wishes at the Disney Store at Polaris Fashion Place – make a holiday wish every night at 7:30! 10:30 AM – Jingle and Mingle with Seniors with Seeds of Caring – join residents from Jaycee Arms Senior Apartments at their annual holiday party to play games, sing songs and give gifts to the residents! See the link for more info about registering. 11:00 AM – The Shazzbots at Franklin Park Conservatory – join this fun band for two sets (11:00 AM and 2:00 PM) of Shazzbots classics and holiday tunes! 1:00 PM – Open Swim at Worthington Pools – $5 per person during these open swim hours! 11:00 AM – Cirque Dreams Holidaze at Palace Theatre – Cirque’s holiday performance is in Columbus this weekend! Also at 2:00 PM! 6:00 PM – Christmas Eve Ceremony at State Auto Christmas Corner – this life-sized nativity display will be completed when baby Jesus is placed in the manger! 5:00 PM – $1 Roller Skating at Skate Zone 71 – admission is only $1 from 5:00 PM – 8:00 PM! Think Outside the Brick at Columbus Museum of Art – check out the huge LEGO display and make your own LEGO creation! State Auto Christmas Corner – walk around inside a life-size telling of the Christmas Story and check out their schedule for each weekend’s choir performances! For every photo posted on Instagram with #StateAutoChristmas2016, State Auto will donate $1 to Manna Café (up to $500)! For more ongoing ideas click here for 10 of Our Favorite Columbus Christmas Traditions!  http://whatshouldwedotodaycolumbus.com/wp-content/uploads/2016/12/columbus-holiday-weekend-4.png 788 940 Julie Miller http://whatshouldwedotodaycolumbus.com/wp-content/uploads/2018/01/What-Should-we-do-today-columbus-NEW-blue_03.png Julie Miller2016-12-21 14:50:542016-12-22 15:03:53What Should We Do This Weekend? 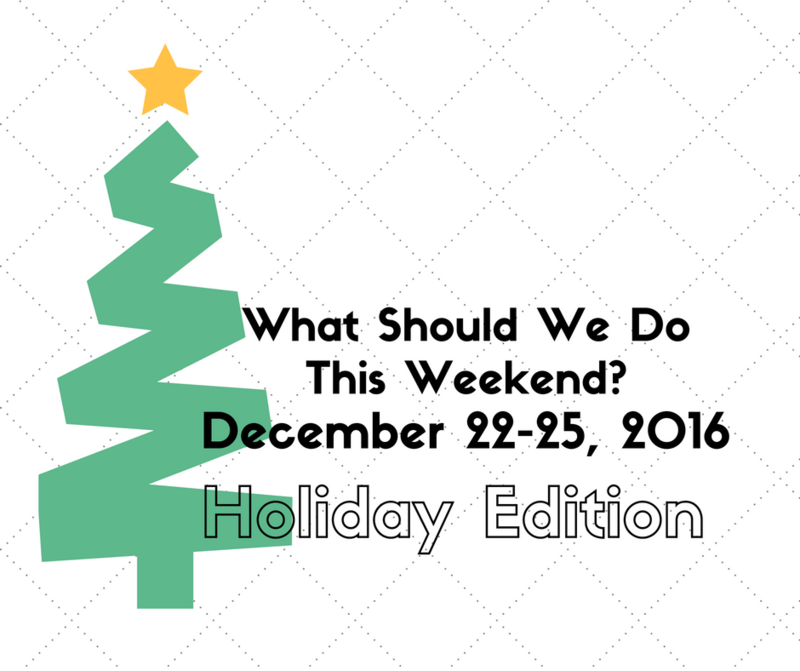 December 22-25, 2016 Holiday Edition! What Should We Do This Weekend? December 15-18, 2016 Holiday Edition! Welcome to another big Holiday weekend post! Christmas is almost here and New Year’s is around the corner! It’s the most wonderful time of the year! Merry and Bright – FPC is open until 9:00 PM December 14-23, 2016 with special musical performances, a gingerbread house display, a holiday train, holiday lights and seasonal plantings! 12:00 PM – Holiday Choir Performances at the Statehouse – lunchtime concerts happen on weekdays through December 18, 2016! 2:30 PM – Santa at Tremont Goodie Shop – come see Santa until 5:30 PM! 6:30 PM – PJ’s and Pages at Westland Area Library – this family story time will feature holiday stories, books and crafts! 5:00 PM – Ice Sculpture Tour in Uptown Westerville – illuminated ice sculptures will be on display all weekend, weather permitting! 6:30 PM – Free Family Movie Night at The Shops at Worthington Place – watch A Charlie Brown Christmas and Toy Story 3 with free popcorn! 8:00 AM – Breakfast with Santa at Worthington Pools – three time slots are available and you must register online! 10:00 AM – PBJ & Jazz Songs of the Season at Lincoln Theatre – there are two performances (second is at 11:30) of holiday selections and your entry fee includes lunch for the kids! 11:00 AM – Santa and Mrs. Claus at North Market – visit Santa AND his live reindeer! There will live music, too! 11:00 AM – Mrs. Claus’ Kitchen at Franklin Park Conservatory – make cookies with Mrs. Claus! Santa and 2 live reindeer will also make an appearance! 12:00 PM – Santa at Global Gifts Short North – take you own picture with Santa who will be around until 4:00 as part of Wrap it Up Saturday in the Short North! 12:00 PM – Horse-drawn Carriage Rides at Oakland Nursery, Columbus Garden Center – weekends also include live music, lights and the Santa Wonderland! 12:00 PM – Christmas Time Open House at Central Ohio Model Railroad Club – see the model railroads and enjoy some treats! 12:00 PM – Secret Elf Shoppe & Vendor Fair at Studio J and Cruz Candy – kids can shop for gifts while adults shop the vendor fair! There will be prizes, candy and a book signing! 12:00 PM – Sensory Friendly Visits with Santa at Coffee Connections of Hilliard – see the link to schedule a visit! 1:30 PM – Hockey Santa at The Chiller Ice Rinks – skate with Santa with free skating instruction and cookie decoration! 4:00 PM – A Christmas Evening at Slate Run Farm – enjoy 1880’s holiday activities at the farm! 6:00 PM – Live Choir Performances at State Auto Christmas Corner – three choirs perform, beginning at 6:00 PM! 2:00 PM – Live Music at North Market – the Worthington High School Chorale will perform! 2:00 PM – Holiday Kids Crafts at Blacklick Woods – make a holiday craft and drink hot cocoa! 2:00 PM – Elf Scavenger Hunt at Homestead Metro Park – this event for preschoolers involves a short hike searching for elves and drinking hot chocolate when it’s done! 3:00 PM – Urban Strings Columbus Holiday Concert at Main Library – this family friendly holiday concert takes place in the 2nd floor Reading Room! http://whatshouldwedotodaycolumbus.com/wp-content/uploads/2016/12/Weekend-columbus-holiday.png 788 940 Julie Miller http://whatshouldwedotodaycolumbus.com/wp-content/uploads/2018/01/What-Should-we-do-today-columbus-NEW-blue_03.png Julie Miller2016-12-14 15:56:422016-12-15 15:33:58What Should We Do This Weekend? December 15-18, 2016 Holiday Edition!